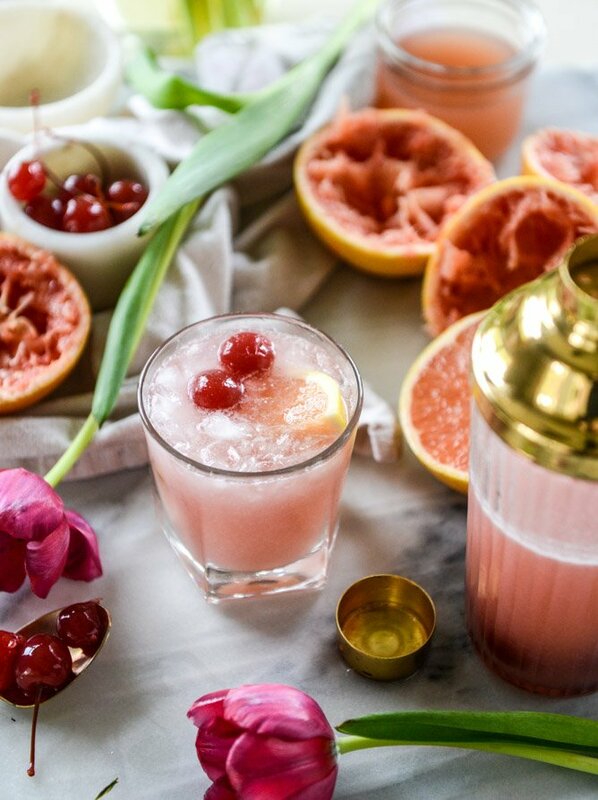 I have all the cocktail secrets for you! Earlier this week, I grabbed a bottle of rosé and a jar of luxardo cherries (oh yes) to put together this cocktail that I have been dyyying to try, and it hit me. I have a BOATLOAD of cocktails perfect for this time of year. It was the first times in eight years that I’ve been sharing recipes that I thought… I don’t think this idea can beat these ones I have and love so much already. So! I’m sharing these ten favorites, mostly from the last year, because I want to make every single one of them this weekend. Plus, they are oh-so pretty! Above, we have my favorite rosé sangria. It is to die for. 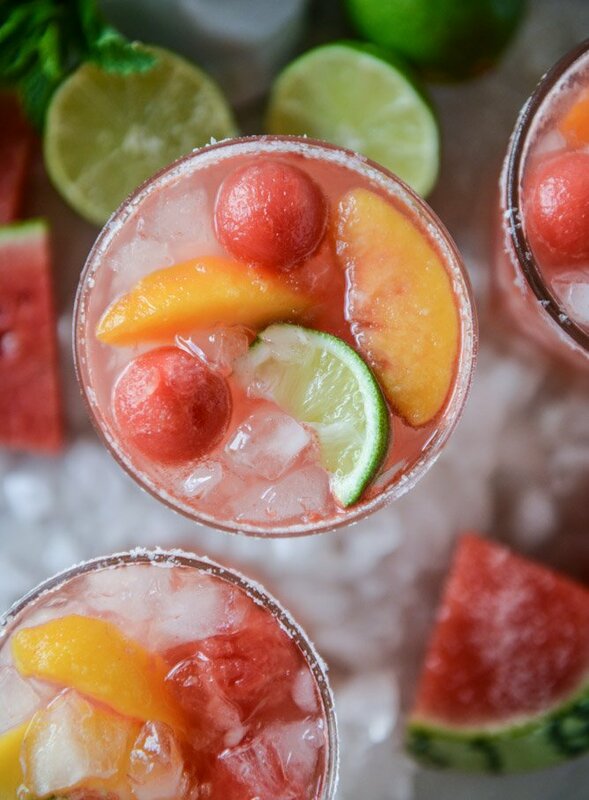 Below, we have watermelon rosé margaritas! Also favorites. And so so pretty. Most of these are pink, because I’m a pink freak. 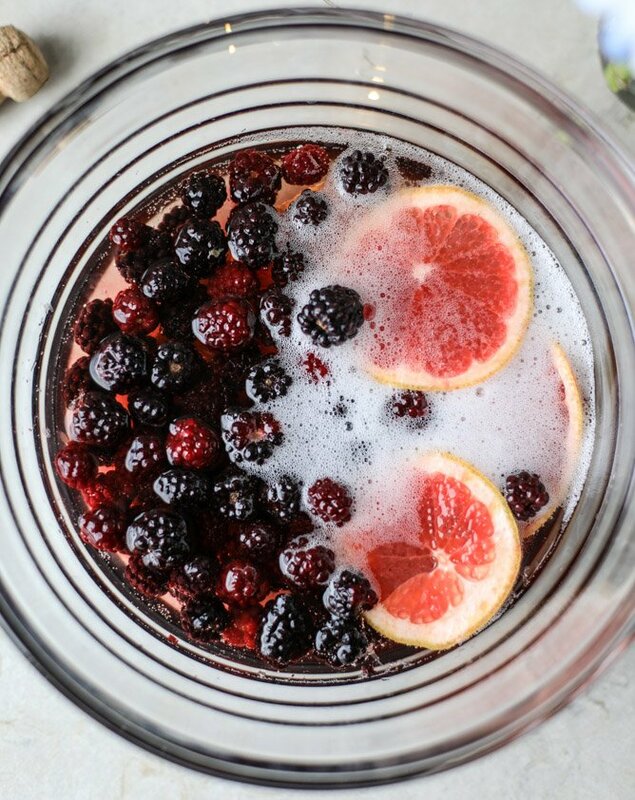 Let’s take a break for a minute and discuss blackberry champagne punch! It should definitely be at your brunch. Pink grapefruit margaritas, because I basically never want to drink anything other than grapefruit juice in my dranks. I loooooove it. 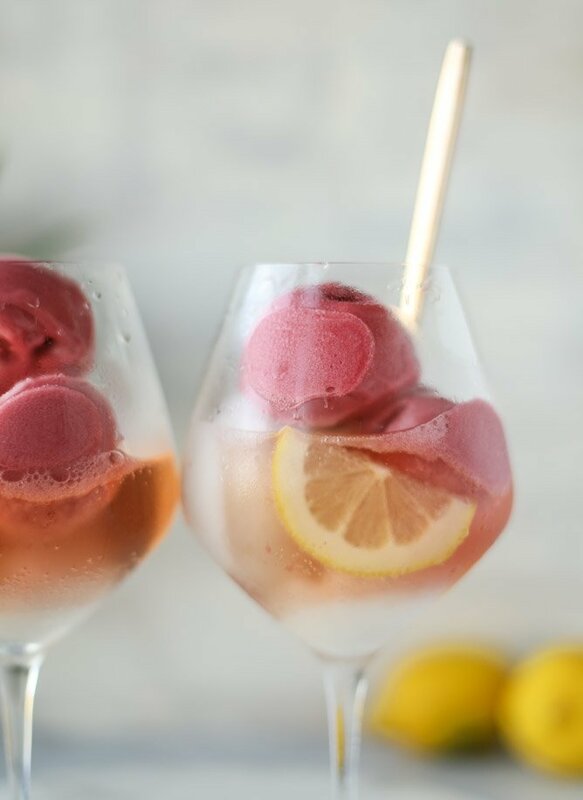 And these super pretty prosecco floats with lemon and raspberry sorbet! You could serve these a multitude of ways and they can also double as dessert. 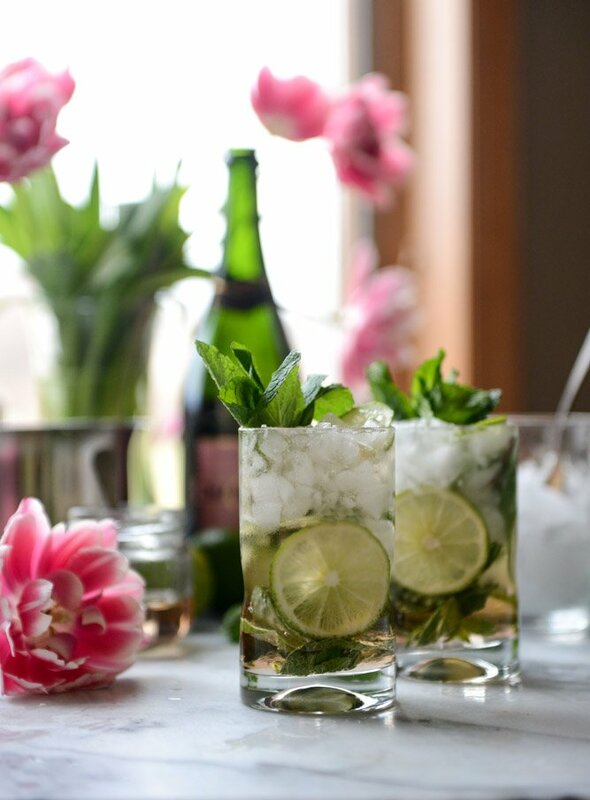 These rosé champagne mojitos give me life because they are so stunning to serve. And so refreshing! Please summer come fast. Grapefruit daiquiris are SO much better than what my 13-year-old self pictured daiquiris to be. You know, frozen strawberry slush? These are tops. 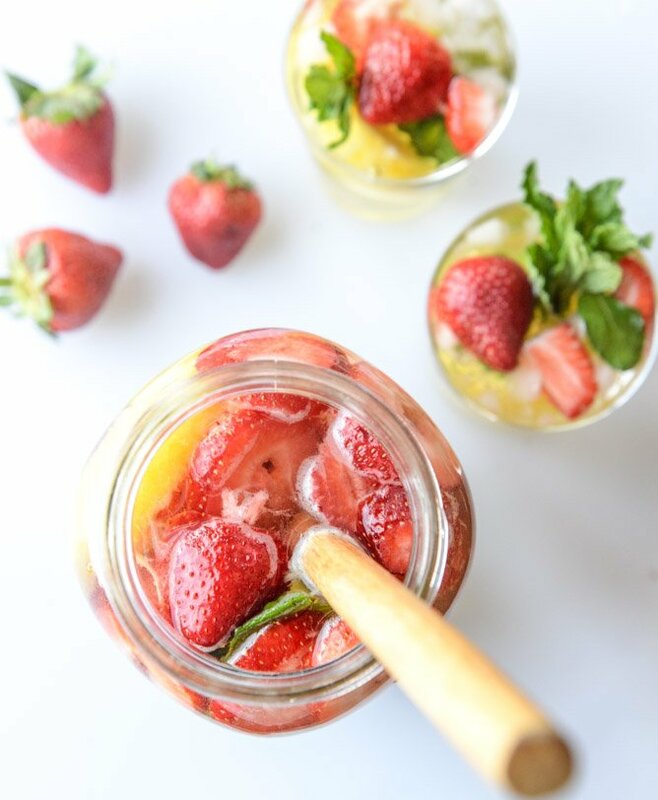 If you’re feeling extra summery, strawberry pimm’s cups are a favorite for poolside drinking. 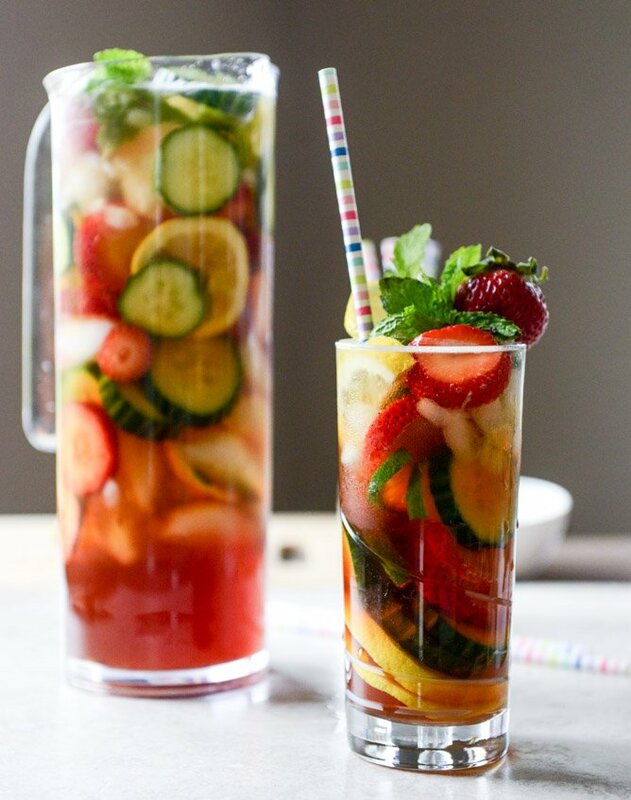 These are equally as refreshing as the mojitos above, thanks to all the cucumbers and lemon. Plus, it’s like you’re drinking vegetables, so… health. One more punch! Because who doesn’t like a big bowl of champagne? 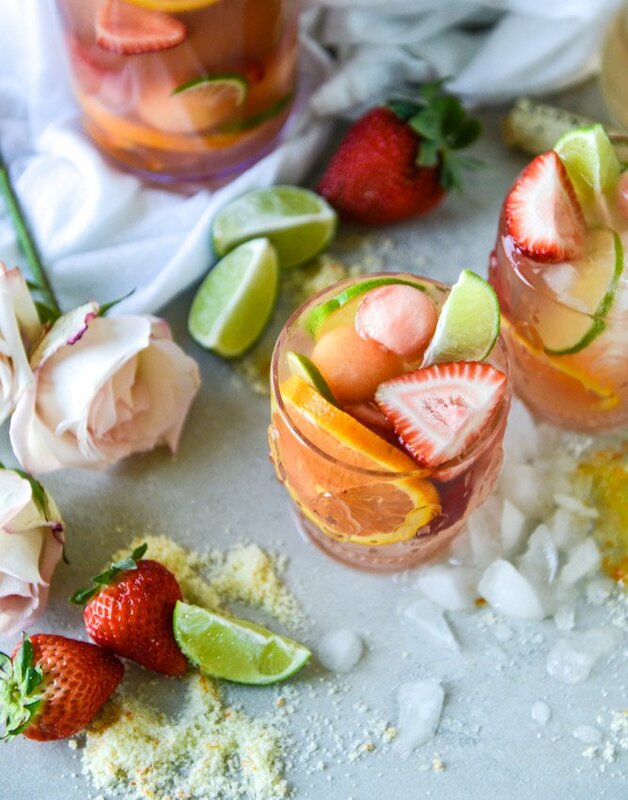 Strawberry citrus champagne punch, to be exact. Annnnnd finally, pineapple sangria! It’s pretty darn sweet and super gorgeous to serve. See? Like how could I possibly top some of these? I didn’t want to miss these ones or overshare them on instagram for the billionth time, so here we are. I hope you find something wonderful to serve this weekend! I’ll be working on that jar of luxardo cherries and don’t worry… more rosé is coming next week. 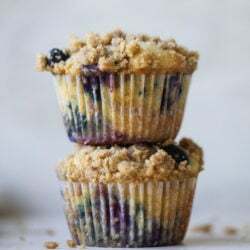 Bursting Blueberry Coffee Cake Muffins. 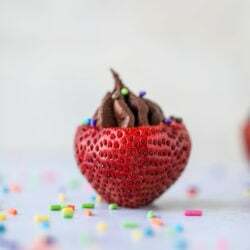 Coconut Chocolate Mousse Filled Strawberries. Do you think you could use frozen pineapple for the sangria? yes! that would be amazing. love that! and i ALWAYS want to include emojis in my post. i’m the worst.